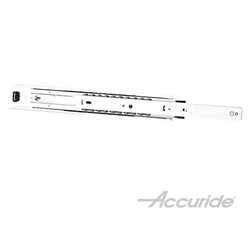 Go with the Accuride Original line of motion hardware. 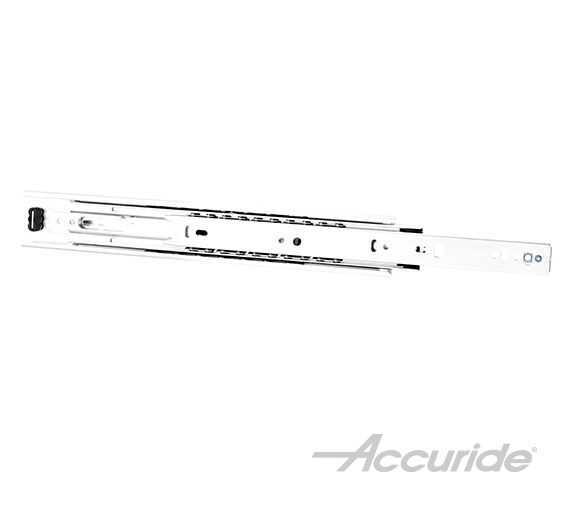 Complete with enhanced strength and movement, full-extension, and a lever-disconnect, the 3832E model is a classic drawer slide that fits a wide range of uses including but not limited to: pull-out shelves, kitchen utensil drawers, and point-of-sales trays. Supports loads up to 100 lbs.